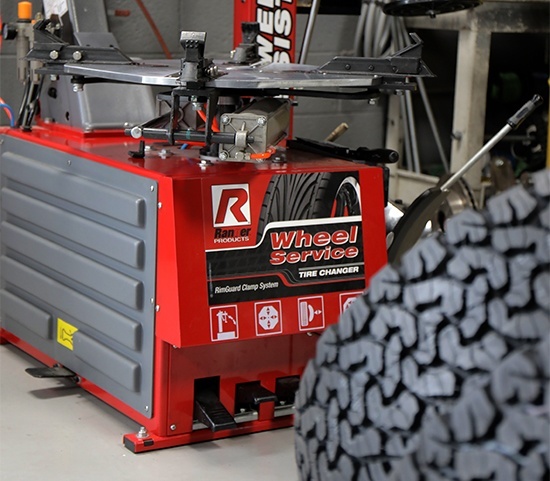 When you make the decision to provide full wheel service for your customers, or expand your current inventory, you're probably going to need a tire changer. The model you get should cater to the types of tires and wheels your customers bring in on a daily basis, and your techs will need to know how to use it. Here are the top 10 things you need to ask before buying one. 1. Who engineered the tire changer? Every detail of every product we offer is perfected by our own drafters and engineers. In this industry, you see this sort of dedication and perfectionism less often than you may think, and it's why Ranger gets so many repeat customers. 2. What is the price, and why is it priced there? Some companies truly do right by their customers by offering pricing comparable with the features offered, while others seem content to let the quality of their offerings wallow in the basement along with their "low, low prices." Low pricing should never come at the expense of quality, serviceability, parts replacements and customer service. Unfortunately, those are all the things that take a hit when you buy a re-branded piece of equipment from an offshore wholesaler. We're compassionate toward our customers when it comes to pricing. 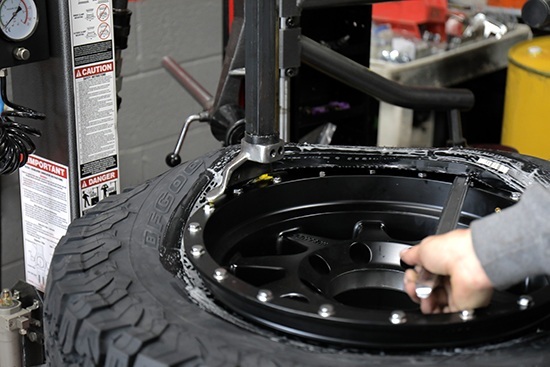 Budgets vary from customer to customer, but Ranger is guaranteed to have a long-lasting tire changer backed up by a pristine warranty and the friendly customer service you deserve. If you pay a little more for our brand, it's because we have so much more to offer. 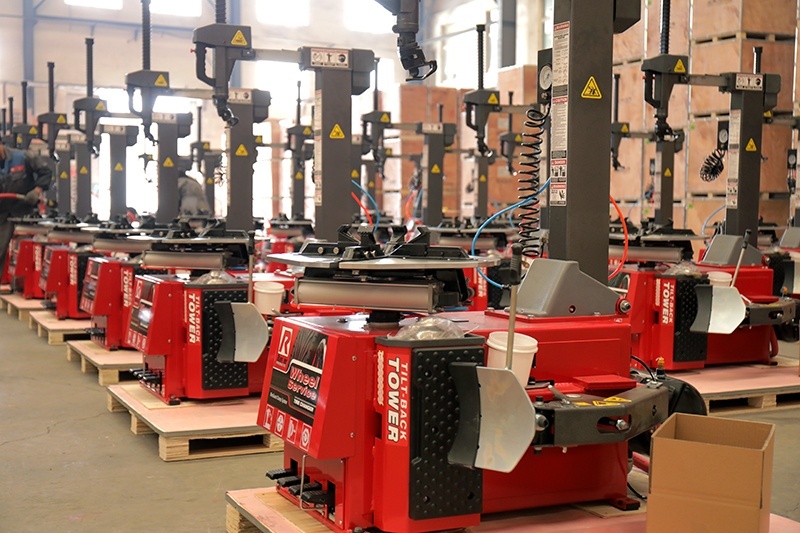 Our equipment lasts much, much longer than you might expect for a single piece of shop equipment that will get used and abused on a daily basis. We're also proud that you might pay a little more than you would for the dirt-cheap companies, but you'll pay a LOT less than the most expensive brands that try to lure you in with all the bells and whistles of a two-bit circus. Your equipment should be helping you earn higher profit, not ripping earnings from your hand. 3. What features does the product come with? Tire changers come with a range of features, and the model you get should reflect the space you have to work in, as well as the kind of work you do. 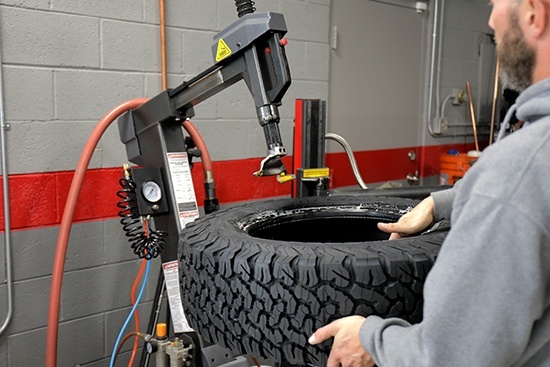 For instance, Ranger offers the R745 tire changer model, a no-frills tire machine that leaves a small footprint in crowded shops and services most tire and wheel combinations. Other models we offer have left/right assist towers and tilt-back designs that help rapidly change tires on like sets of wheels and seat stubborn beads. If you get a tilt-back tower, know that it requires a little space behind the changer to literally tilt back; likewise, those assist towers also require a little more room to work. These features are must-have for shops that do a lot of wheel service. But, for the occasional flat repair, a simpler model will suffice. Be sure the company you purchase from is able to explain the features on each model and help you decide the right fit for your shop. 4. Does they offer their own customer support? 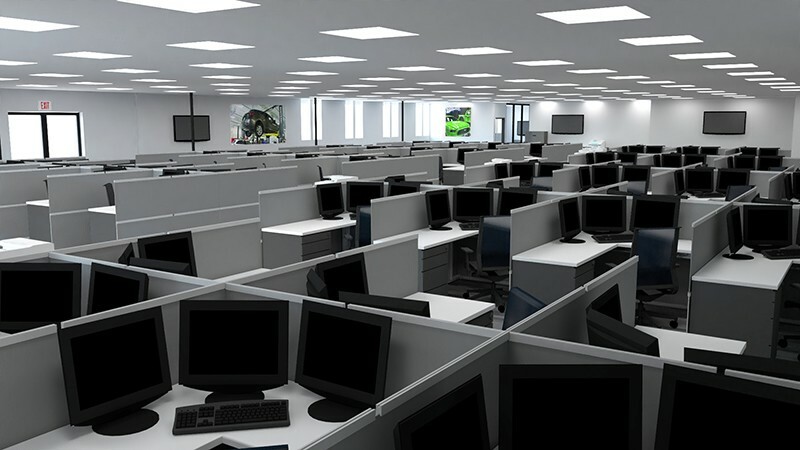 Many companies are too small, neglectful or disorganized to offer their own customer support. Or, they have one or two people in a small office who may or may not get back to your voicemail. If you've had that experience before, you know exactly what we're talking about. Ranger has a full customer service staff that continues to grow. There are more onsite customer service representatives here than there are at any other wheel service provider in the country. We are obsessed with providing good service, and the sheer size of our team is our proof. If there's a wrong, we right it. If there's a chance to improve, we take it. If you don't go with us, make sure your tire changer manufacturer is obsessed with service. 5. Is there a good warranty the manufacturer will stand by? Even the best piece of equipment is ultimately just that: an unthinking, unfeeling hunk of metal (and other material) that does what you tell it to do. Sometimes—hopefully not often—things go wrong and require a little service. Most mistakes that happen in shops are due to human error, but that doesn't mean you should ever feel hung you out to dry. If a part needs service or replacement, and it's covered by a limited warranty plan, your tire changer company should honor that warranty without putting you through the ringer. It's obvious that some companies try to hide their warranties deep in the back pages of their websites. Do they not want you to know? When you can't find the terms and conditions of your warranty presented in an upfront manner, consider it a telltale sign of what it will be like to interact with that company: confusing, time-consuming and generally unsatisfying... like lukewarm hot chocolate with hardly any marshmallows and no whipped cream. Forget about it! Ranger offers an extremely competitive warranty with every tire changer we offer. We encourage you to read what we cover and compare it to other brands' offerings. We think you'll agree that Ranger goes above and beyond the rest. 6. What is the company's volume of units sold? This may sound a little technical, but it's actually crucial to understanding why your equipment is priced the way it is, has the features you want, as well as the warranty and the support you deserve. The more a manufacturer produces, the better prices they get on raw materials like steel, rubber, petroleum products, etc. Competitive businesses like Ranger pass those savings along to customers. It's sometimes why bigger businesses offer better quality and better pricing. They simply have the volume! BendPak and Ranger Products sell more automotive service equipment than virtually anyone in the industry, so we're extremely well-equipped to give customers the highest quality products at the best pricing. If the tire changer manufacturer you're considering can't offer the best of both worlds, we encourage you to keep looking until you find the one that can. 7. What is the company's reputation? Reputation matters. When a business makes a sale, they have to be willing and able to service that product. Just how willing and able they are in reality might not match up with the lofty claims they make in their marketing or through their sales staff. Instilling confidence in the buyer is crucial in any industry, but it's even more crucial after money has been exchanged and the product has been delivered. That's when the relationship truly begins and the business has an opportunity to earn that customer's support for life. We encourage everyone to go online, read the garage forums and see what people have to say about the different brands out there. Of course, it's wise to keep in mind that positive and negative extremes are what usually surface in public spaces. The truth usually lies somewhere in the middle. The more volume a company deals in, the more positive and negative experiences will be reported. Low-volume sellers sometimes have the appearance of being really good, or really bad, but the truth is they just don't do enough business for the reviews to provide any real insight into their business practices. So, start with the forums, and then gather information from each company. Request proof in the form of video and/or photos. Put the onus on the company to back up their claims. We wouldn't be saying this if we weren't 100% confident in our ability to deliver on our claims, so go ahead and try us first! 8. Can my garage support the tire changer I want? Don’t let your eyes get bigger than your garage. Occasionally, we'll get a case in which an excited customer tells us the dimensions of their garage. Everything seems in order, but it turns out they didn't consider that the tilt-back feature on their new tire machine needs room to do just that: tilt back! Tight spaces might not be ideal for that model. Our sales representatives are happy to cover the details of every product, as well as how much space you need for each, but we can't help it if we're told a particular garage has X amount of space but actually only has Y. To prevent this frustrating circumstance, we encourage you to measure, re-measure and measure again. It's the only way to be sure that sheer enthusiasm isn't interfering with the reality of your space. It's even wise to call up local installers before you make your purchase. They've probably worked with the product before (especially if it's BendPak / Ranger equipment) and can tell you if their team will be able to install a given item in your space. When you're on the phone with a sales representative for the product of your choice, be sure to triple-check your garage dimensions with them. If you're not totally confident in that person's ability to get you the information you need, ask to speak with their supervisor. It's not rude. It's the business's duty to get you the right information. Plus, how they handle your pickiness as a customer will tell you everything you need to know about what it will be like to work with them down the road. 9. Does the manufacturer proudly wear their banner? This was mentioned earlier, but we'll say it again: Ranger is proud to offer superior engineering compared to the "discount" brands you see floating around out there. We engineer our tire changers to exacting specifications. We don't simply rebrand a wholesale purchase with our paint and logos. And, we offer a high level of customer service and support. That's why we put the Ranger brand on every wheel service product we make. Others try to hide behind alternative brand names, afraid to affiliate their primary logo with low-quality products they know they should be ashamed to pass off onto consumers. Always go with a company that's willing to represent itself on its products. Ranger is always upfront about representing our name. We wear it proudly with our logos, color schemes and designs. When you see one of our products in the field, we want you to know it's ours. 10. Does the company keep up with its website, social presence and community engagement? We don't talk much about the web/social side of this business, but it matters. How much a company is "out there" in the world and on the internet is a sign of that company's health. If their website looks like it was conceived on an Etch A Sketch and hasn't been updated since 1995, you're more than likely looking at a small-time operation that won't be able to give you the attention, pricing and support you deserve. If you can't find them on Facebook, strange as that sounds to some people, it's the same deal. The more a company is out there in the world, the more likely they are to care about their reputation, and therefore be more likely to do right by customers in good times and bad. Treat a company's worldly presence as an indicator of their overall health, as well as proof of their ability to get you the tire changer you want, when you want it and in the condition it was promised.